Bring Me A BookTM Hong Kong (BMABHK), a registered non-profit organization was set up in Hong Kong in 2006, seeded by the Chen Yet-Sen Family Foundation. 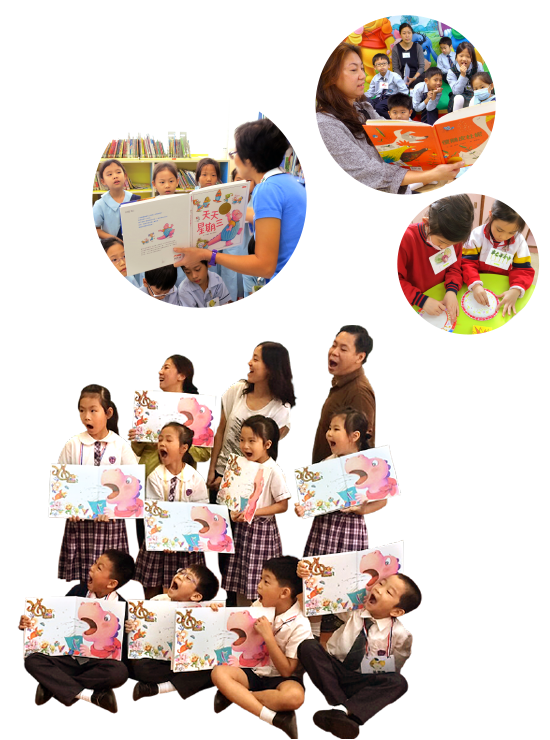 We envision a Hong Kong in which every child is read to, strengthening family and community bonds, and creating a love of learning. To enrich the lives of ALL in the Hong Kong community. 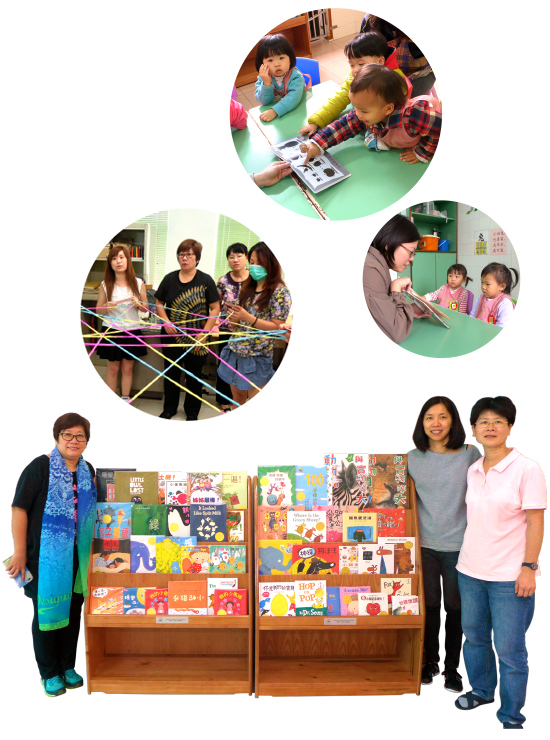 We reach out to underserved children and families in Hong Kong to provide Book Bag Libraries, Bookcases and training programs as public resources in nurseries, kindergartens, community centres, shelters, health clinics and in the workplace. 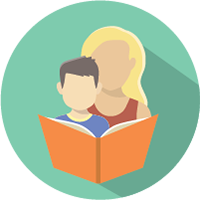 of parents indicated that they would spend more time or increase the frequency of reading aloud to their children after attending our trainings! This two-year project sponsored by an anonymous donor, enabled us to provide a strong foundation for literacy development and motivation to read in children from very low-income families. We partnered with six primary schools and organized 60 reading sessions for 168 children and conducted trainings for 117 parents. We also provided a total of 3,000 complimentary books to all the schools and children participated in this project. This was a fantastic and meaningful project which brought positive changes to children, parents and the schools. We were pleased to witness children's positive changes under this project - those children with a tendency to be distracted/less focused were able to pay attention to the stories and those less confident children were able to speak out and express their thoughts. Research and Evaluation: This project also allowed us to appoint The Centre for the Advancement of Chinese Language Education and Research (CACLER) of The University of Hong Kong to investigate the home literacy practices among lower SES families in Hong Kong and its relation to parental perceptions of parent-child reading. The findings further supported the needs and importance of our work carried out in the community. The research showed that lower SES children generally had few opportunities to access resources to read for pleasure and their reading resources at home were also scarce. 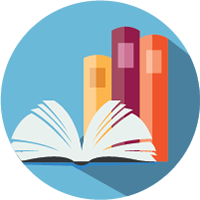 On the other hand, the research has an important finding that income and home resources have insignificant effects on the relation of parental perception and shared reading. Therefore, it is necessary for us to maintain our work to conduct more trainings for parents and provide easy access to books in the underserved communities. Sponsored by an anonymous donor, this was our first pilot project carried out in Macau. The main goal was to provide a strong foundation for literacy development and interest to read in children from a childcare centre in Macau. In 2015, we enriched the childcare centre’s library resources by providing them with 180 quality, age-appropriate books. We also trained the childcare providers, parents and volunteers to empower them to read aloud effectively with the children. Last but not least, we arranged interactive reading sessions for the children which were conducted by a team of committed Bring Me A BookTM Hong Kong volunteers. With the generous support from UPS, we installed a total of 5 Bookcases in local kindergartens reaching over 600 children across Hong Kong. We also conducted trainings for almost 150 parents to help them equip with the necessary skills in reading aloud with children. Special thanks to the UPS volunteers who helped wrap the books and read with the children at each library ribbon-cutting ceremony. 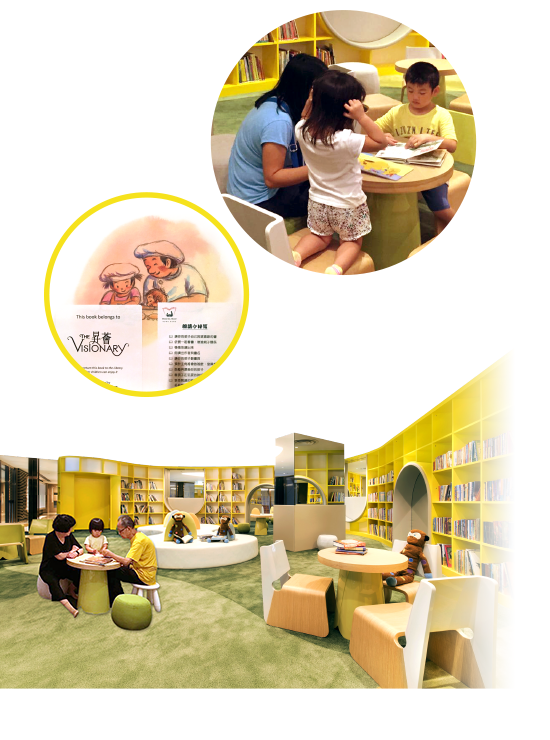 In collaboration with The Visionary, a new development in Tung Chung, we helped set up the state-of-the-art, first of its kind library in their Club House. It is the only library in Hong Kong that stocks all the books from Bring Me A Book’s recommended booklists in English and Chinese. After a year of hard work consulting, sourcing and categorizing the best books for children, the Visionary Library was finally launched in April 2016. Proceeds from the project will go to support our library and training programs for the underprivileged. In view of our mission at Bring Me a Book™ Hong Kong “to advocate for family literacy”, we have run a series of talks, workshops and roundtables with the following objective: To “Influence the Influencers” – providing teachers, educators, government officials, parents, social workers and children the opportunity to meet and learn from literacy and language development experts, authors and illustrators with the goal to motivate and inspire a love of reading for the next generation. From 2014-6 with the generous funding support from the Chen Yet-Sen Family Foundation and Yu Foundation - we invited literacy specialists and children’s authors and illustrators from China, Taiwan and U.S. including Caldecott and Kate Greenaway Medal winner, Jon Klassen. While 2015-6 saw even more success with children’s author Jon Klassen and reading specialist Julie Fowlkes running 30 workshops for 480 parents and teachers and over 1000 children, serving 15 different beneficiary schools and partners. In line with our advocacy program, BMABHK supported EDiversity, a local charity in Hong Kong that re-evaluates the meaning of education and provides alternative education choices for local families in Hong Kong. 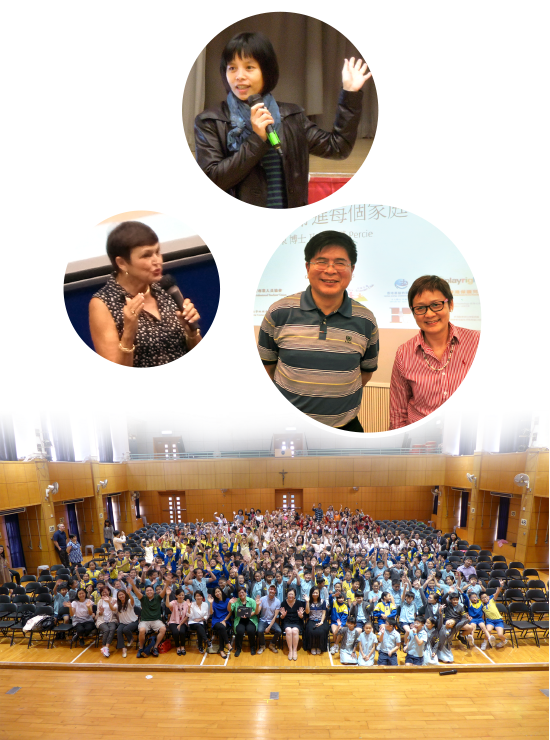 On June 27-28, 2015, BMABHK’s staff and trainers gave 5 talks and workshops to hundreds of parents and children and shared success stories and case studies of our reading programs at the education conference entitled “We Need A Break: Drill Less, Learn More”. 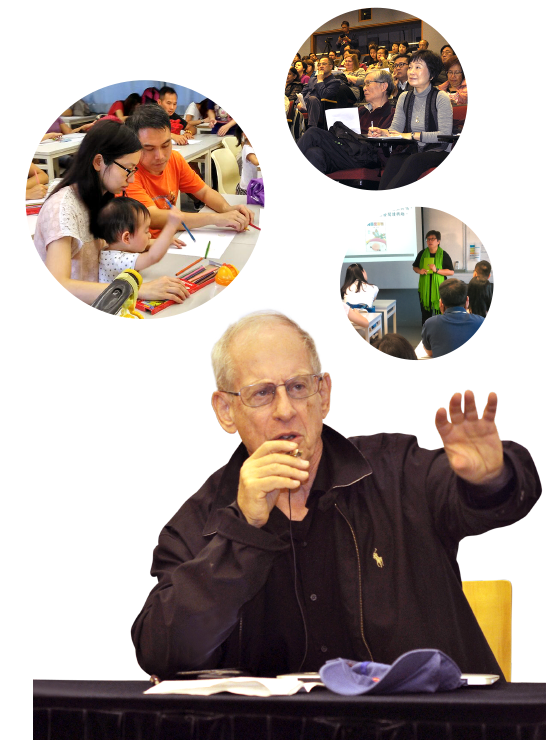 On February 18-19, 2016 BMABHK invited second language acquisition expert, Dr. Stephen Krashen, to give powerful talks to over 300 parents, government officials and leading academics at the EDiversity Conference, “The Purpose of Education” held at Chinese University of Hong Kong and separately to another 600 parents and educators at The University of Hong Kong on “How Free Voluntary Reading Can Help to Improve Children’s Language Development”. 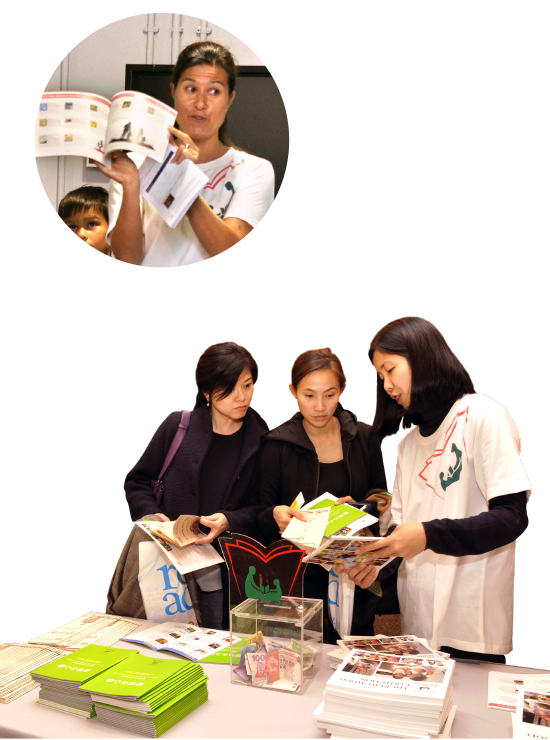 As the leading advocate of family literacy in Hong Kong, many parents and educators seek our help to navigate the huge selection of children’s books available both in bookstores, libraries and online. 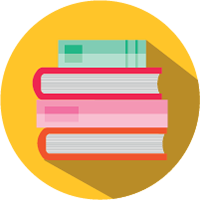 Since 2006, Bring Me A BookTM Hong Kong has updated the book guides, available in English and Chinese every two years. Both guides are the result of a labour of love by dedicated educational and literacy specialists, parents and librarians who have volunteered their time and expertise to compile these valuable resources. 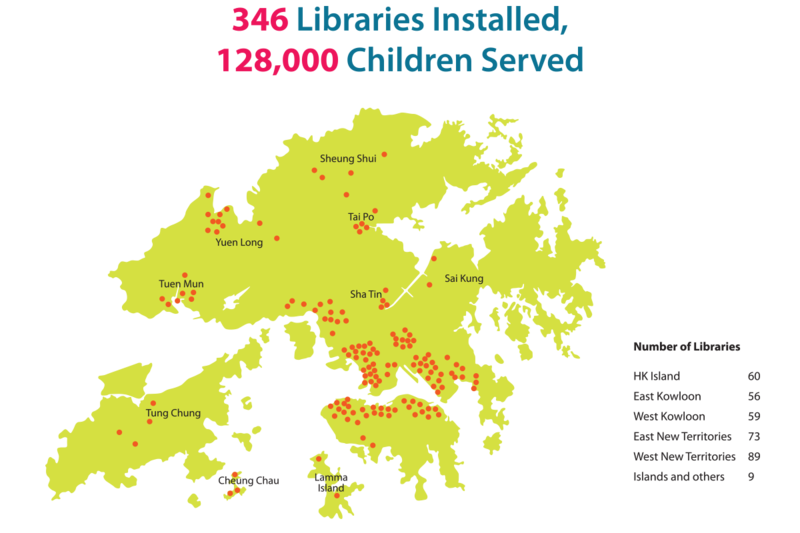 So far, we have had over 200,000 downloads of our guides from BMABHK website since 2014 and have distributed 8,000 hard copies to libraries, schools, bookstores across Hong Kong. To help further our mission and attract new supporters and donors, BMABHK arranged a special speaker event by internationally renowned psychologist, Dr. Madeline Levine. Her talk focused on “How Parental Pressure and Material Advantage are Creating a Generation of Disconnected and Unhappy Kids”. The event, generously sponsored by Gerson Lehrman Group, attracted over 600 parents at the HK Convention and Exhibition Center on March 11th, 2015. All the tickets were sold via HK Ticketing with 100% of proceeds going to BMABHK’s library and training programs. Dr. Levine’s insights and recommendations on how we can better teach our children, raised positive awareness for many of the participants to focus more on values and coping skills than grades and trophies. 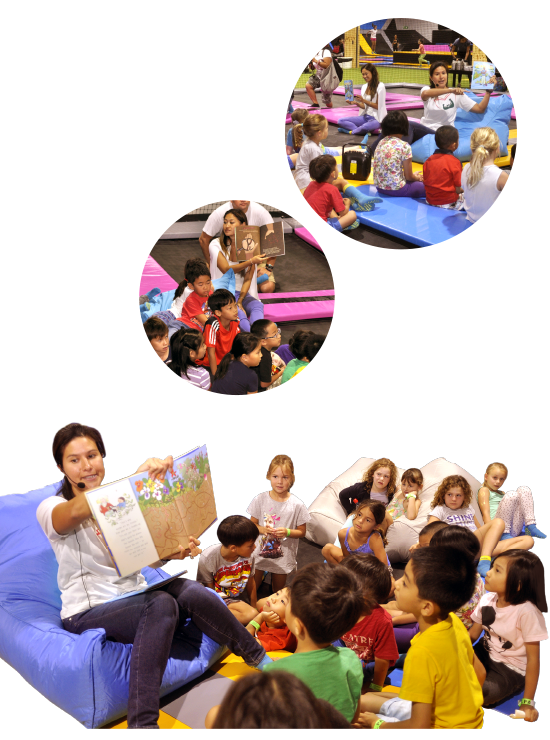 On October 19, 2015 Bring Me A BookTM Hong Kong participated in an historic reading event, organized by Points of Light a U.S. based charity, called “Read Across the Globe” with the aim to break a Guinness World Records title for most children read to by an adult in a 24-hour period in multiple locations all over the world. BMABHK partnered with volunteer-based charity, HandsOn Hong Kong and organized over 80 reading groups at various schools and locations across Hong Kong, including a trampoline park, Bounce! While Points of Light unofficially passed the current record of 238,620 children read to, Guinness’ extremely rigorous method of auditing the evidence didn’t allow for us to become the official record-holder. However, we are so proud of our role to raise awareness of the importance of literacy worldwide and to demonstrate the power of volunteerism. 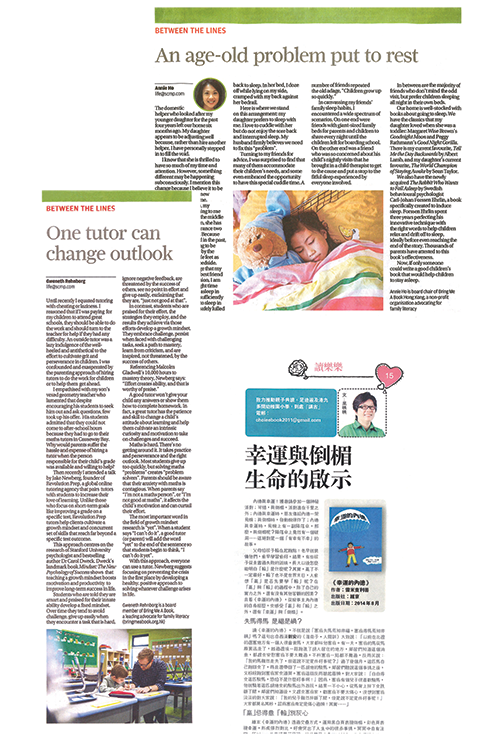 In addition, our Director of Community Outreach, Choi EE wrote monthly articles for Ming Pao newspaper, recommending quality Chinese children’s books. Her insights have inspired a lot of local parents which allowed them to share the books with their children more effectively. We wish to express our deepest gratitude to the following individuals and organizations for their donations and support in 2014-2016.